Physiotherapists provide many different types of effective treatment for low back pain but they also provide their patients with plenty of education on how to avoid or minimize this type of injury. Sometimes low back pain is cause by a single injury or incident, but most often it is caused or exacerbated by a long list of repetitive strains and aggravating positions and movements. CanadaPhysio physiotherapists spend time with patients teaching proper posture, position and movements aimed at minimizing strain and stress on joints and muscles. CanadaPhysio physiotherapists go the extra mile providing instruction on ways to avoid further injury. Patients receive personalized instruction on how to position themselves when sitting, bending, lifting and even sneezing, driving and sleeping. Sit as little as possible and then only for short periods. Place a supportive towel roll at the belt line of the back especially when sitting in a car. 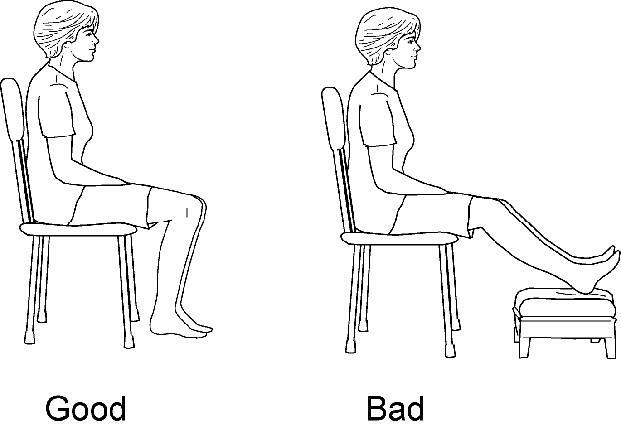 When getting up from sitting, keep the normal curves in your back. 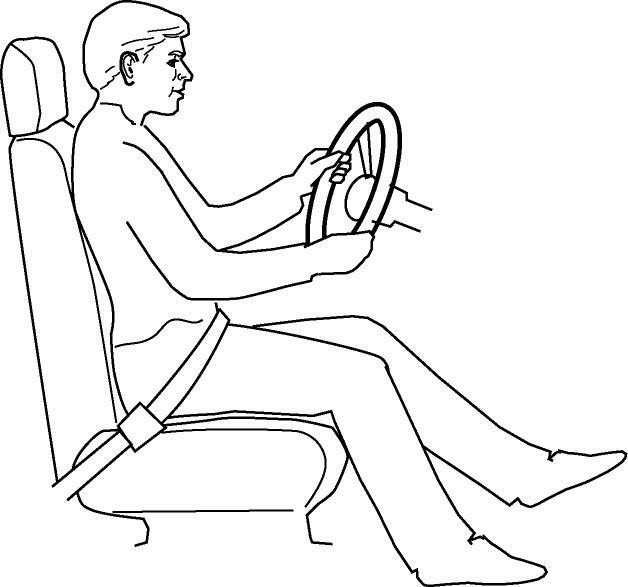 Move to the front of the seat and stand up by straightening your legs. Avoid bending forward at the waist. Try to keep the normal curves in your back at all times. Don't sit on a low soft couch with a deep seat. It will force you to sitwith your hips lower than your knees and will round your back. You will lose the normal curve in your back. Don't place your legs straight out in front ofyou while sitting. (e.g. sitting in the bath tub). If you must stand for a long period of time, keep one leg up on a foot stool. Don’ts: Avoid half bent positions. 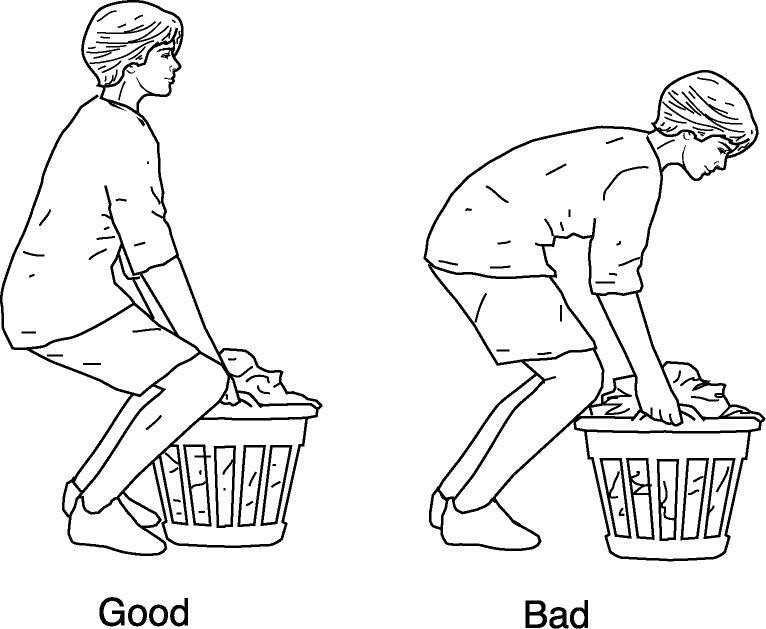 Avoid lifting altogether if you can. Use the correct lifting technique. Keep your back straight when lifting. Never stoop or bend forward. 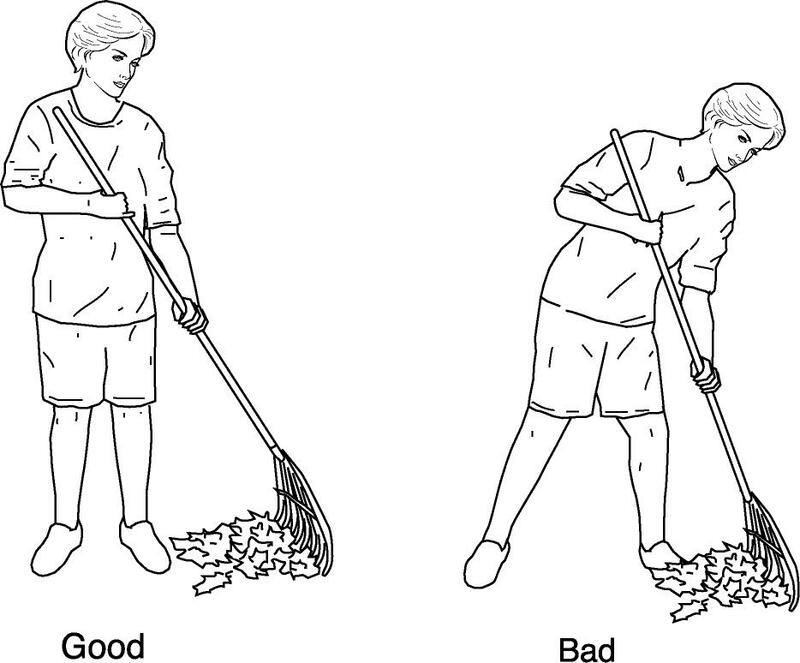 Stand close to the load, have a firm footing and wide stance. Kneel on one knee, keeping the back straight. 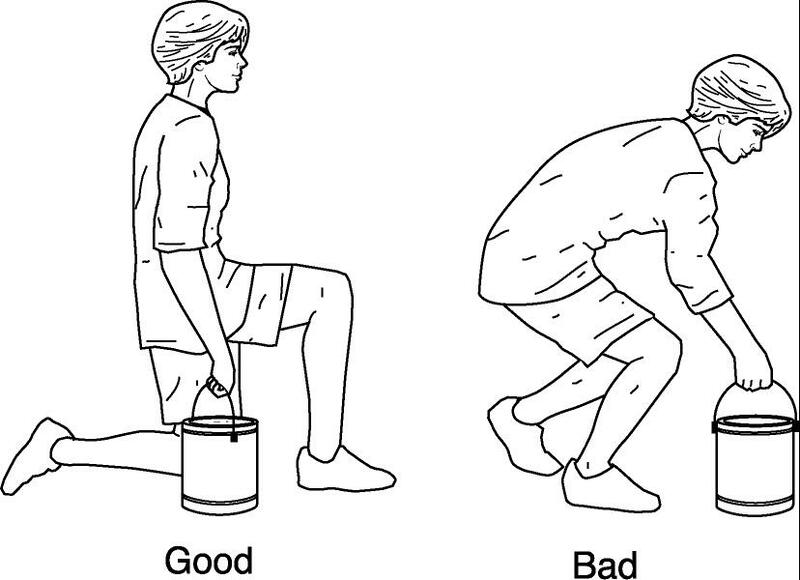 Have a secure grip on the load and lift by straightening your knees. Do a steady lift and do not jerk. Shift your feet to turn and do not twist your back. Sleep on a good firm surface. If your bed sags, use slats or plywood supports between the mattress and base to firm it. You also can place the mattress on the floor, a simple but temporary solution. You may be more comfortable at night when you use a supportive roll. A rolled up towel behind your waist is usually helpful. Bend backwards to increase the curve of your back while you cough or sneeze. Drive the car as little as possible. It is better to be a passenger than to drive yourself. Move the seat forward to the steering wheel. Your seat must be close enough to the wheel to keep the natural curves of your back. If your hips are lower than your knees in this position, raise yourself by sitting on a pillow. CanadaPhysio is your one stop wellness centre. We are a multi-disciplinary rehabilitation centre with various locations throughout Toronto, Mississauga, the GTA, Whitby and London, Ontario. We specialize in comprehensive physical therapy programs which include or integrate physiotherapy treatment for back pain provided by experienced and licenced health care professionals.